Top Five Annoying things to say to a Photographer ~ The Wandering Soul's Wander Tales.. Taking a good photograph, infact let me go ahead and say making a good photograph [as the pro would say] is just as much of a tough job as carving a masterpiece out of plain rock. Granted that a top notch quality stone and chisel make the job easier but the rock still has to be carved and chiseled. What people fail to understand most of the time is the effort involved in making one such image. That would still be fine if they didn’t come up and say something really stupid but sometimes those very words makes me want to tell them to go to hell! Here is a list of five most annoying things that I’d never like to hear and a probable explanation to the ignorant critic [The one who usually says these things] why it is so annoying. 1. Awesome camera = Awesome photos; Awesome place = Awesome photos. Really? Now this would be the most stupid thing to say, ever! I am sure most of us have heard this since the time we have started taking the first of the shots. This analogy has also been said time and again and yet I would like to mention it here, one more time. For what it’s worth it is like saying to a writer who has written an amazing novel, “wow, it must be one hell of a pen that you used to write this.” The writer’s pen and the photographer’s camera are just the tools. The skill lies with the person not the tools. Even if you get the settings right, which can be done by reading the manual of the camera, what about composition? What about creativity? 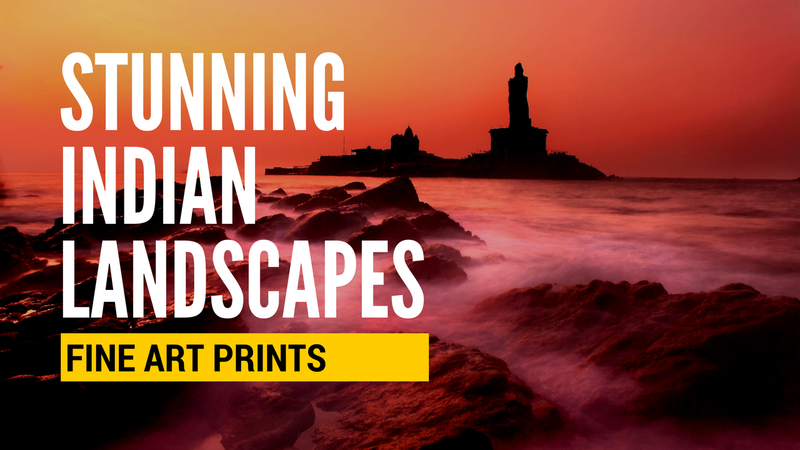 How can a place or a camera affect the way your mind thinks and preconceives a great shot? Only once you see and envision, you could try and use the camera to capture the thought and beauty. But the point is, to see. 2. If you take 1000 shots you are bound to get atleast one good shot. So was the airplane invented on the first go or the camera itself invented just like that? It always takes trials and practice to master any skill. Photographers are not born masters; they evolve though practice and learning. So who cares if I take one thousand shots before I get it right. The point is, in the end I got it right. Well excuse me if I have the capability to ignore the bad and only notice the good. If there is garbage lying all around a beautiful waterfall, I choose neither to notice it nor to photograph it. As long as the waterfall is good, I am content enjoying the beauty of it rather than stressing on how dirty the place it. Now that is what exactly I choose to showcase in my photos as well. Are you saying it is my moral responsibility to prepare you for the ubiquitous crowd when you go to see Taj Mahal? Crowd or no crowd, Taj is Taj, always beautiful. Apart from this, one good trait every photographer picks up after addiction to this hobby is the power of observation. We are always on the look out for something new and interesting. While we are so attentive of the environment and surroundings, we do notice some stuff which might go unnoticed by the rest. 4. Your photos are photoshopped. We like only originality. Now this is something which is beyond my understanding. What do you perceive as real? How is it assumed that anything that comes out of a camera is real? A camera again, has been built by us and we can choose how to capture a given scene, what colors to capture, what saturation and contrast to maintain, and what exposures to set. While you see a scene with bright colors a camera with normal setting would never capture it the same way. Human eye is one masterpiece of a sensor. It can comprehend scenes in low light just as comfortably as it can comprehend a scene with high and low exposures at the same time without any loss of detail. Try as we may, we have not been able to replicate camera sensors to that level of detailing. So what is the next best thing you can do? Tricks and tips – which is where Photoshop comes into picture as a divine blessing. If a polarizer is used, it reduces the haze and removes the reflection making the picture look better. What if an IR Filter is used? The image is produced capturing the light from IR Rays. Now IR Rays do exist and if human eye had the capability to see IR Rays, then this is how the photo would be. So does this make the photo any less real? This is again like saying Ultra sonic sounds don't exist because you can’t hear them. Photoshop/Filters are here to help us create something that cannot be captured the normal way. There is photography and then there is digital art. Appreciate each for what it is instead of making snap judgments as soon as you see a picture. 5. You were at the right place at the right time! Yea right! Once you hold a camera you become a Hogwarts wizard the next moment, apparating and disapparating to the right places at the right times. Sorry to burst your bubble, but it takes meticulous planning and painful waiting to get one good shot. 80% of the shots are not taken by chance. I am willing to give the benefit of doubt for 20% of the photos to account for spontaneity but most of them are envisioned before hand. More often that not, a photographer always has an idea of what to shoot and he/she waits until the same or something better is captured. I have waited for hours together to get one good shot. I remember standing out in pitch dark bearing Himalayan chill trying to capture the brilliant milkyway. If you have ever taken a night shot or camped in Himalayan wilderness, you’d understand the difficulties involved in taking a night shot as well as doing the smallest task of getting out of tent in pitch dark at 14000ft. The cold just kills but I still did it for I wanted something spectacular. So to put things in perspective, I was not at the right place at the right moment instead I scout for location then wait patiently. In the end, all I am saying is, photography is a tough job and it is time photographers received their due. I am not saying I am a great photographer nor do I want to be garlanded and felicitated, all I want is for people to understand the intricacies of this art before making a stupid comment. Come along with me, on a virtual journey! Find me on Facebook, Twitter and Instagram. Good one!!! can totally understand, though am not really a photographer! Quite honest i must say!!! good one! You are Absolutely Right, and some comments makes us really angry.. grrr... Really Good One..
Thats a ton off my chest. Dusshera and Durga puja greetings to you!.I have never read a better article than this ... simply great!! Great post Neelu! It does sting when someone pigheadedly doesn't appreciate your art. But,may I point out one little flaw in the first logic: the comment you refer to might be totally innocuous sometimes, wherein the person is still crediting the photographer, but wants to know the model and make coz he/she wants to get one. I know this coz I have been that person: By making such a comment, I never intend taking any credit away from the photographer,but it is genuine curiosity that makes me ask the second part. After all, who better to ask than the expert? "Your photographs are excellent, and what was that place that you shot, is it the milyway galaxy, I mean how on EARTH did you shot it, and with what camera, I have a cannon DS7D(i think) and have no idea to shoot a pic like that. i mean i click on everything i see, and get 1 good picture, but then my battery goes down and i was not able to take any picture for a entire trip. Is this picture a real on, i mean does these places exists, i mean i have not been anywhere close to it. is it in India ? i have been to india many times, but never saw a water fall like this. But anyway. How did you really get the "Eagle catching the Fish" shot. You must have had the camera with you all the time....i mean I too have the camera with me all the time and one day a beautiful butterfly was sitting on a leaf and before i could get my camera out it flew away...they are really scared of noices you know...but since eagles are bigger creatures you were able to pull it through, great job..eh?" Photoshop is the digital version of a darkroom. Tweaking photos to make them look their best. Film photographers tweaked their images too, it's just another tool. Like the tripod, softbox, or lens filter. Usually people that complain about Photoshop are those that haven't spent the time learning how to use it. And about Photoshop, That is another form of ART. hehe yeah! number 4 seem to be the most common question! Please promote my post: "GPRS ko Tata. 3G? Buy. Buy." @ IndiBlogger. It is for the "3G Life Blogger Contest". P.S. In case you are not an IndiBlogger member... it will take only a minute to register and promote. ## Poonam, Sumanth - Thanks! ## Navs - ha ha.. Any of these comments are not annoying when asked in the right sense. Ofcourse a camera make and model can affect the outcome greatly. But what I am trying to say is a great camera cannot always ensure a great photograph. ## Jag - ha ha.. that is indeed a very interesting take! Had a good laugh. Keep up the good work. You have a wonderful website and great writing style. Hope you can make a career out of this. Thanks, I wish for that too! Very true ... I hate it when people say "Lovely pictures on your blog. Your camera must be really nice" ... ! But the words from your heart is "worth"..Hats off to your annoying creation of words which tells the story of a good artistic human being..many kudos..
Nice one :) I had to resort a similar logic when somebody remarked: That doesn't look real. I asked : How about B&W? Do you accept it? That isn't real too! People make convenient exceptions to alter their perceptions! excellent post. Agree with each of the point. I have heard a lot of the crap like this. I only tell them, as a photographer, I look at a scene and immediately I know what I want to show to the public. I take the camera and take a picture and do the necessary editing to the tell the story that "I SEE". There is also a famous anecdote, which you might have heard - a famous photographer was once spotted in a very famous restaurant in NYC. The chef walked upto him and said, I love your photographs, they are pretty, I am sure you have a great camera. The photographer nodded politely and when it was time for him to leave, he asked for the chef again. He said, The food was excellent, I am sure you have a great stove!! I really liked the fact that you this initiative to discuss this topic. Thanks a lot for sharing it. I completely agree with you. The most annoying that I got to hear from one of my friends is that 'when the background is green photographs are automatically nice'. Ha ha, this one's hilarious. People come up with crazy opinions! Been there. Heard that. Loved the way you summarized. and hours/days of hard work after such "APPRECIATION" becomes zero instantly..
par itne se apne andar ka keeda mar jaye to baat hi kya. A travel writer and photographer by profession, I am an offbeat and adventure travel enthusiast. Eschewing touristy things and sightseeing, I prefer to trek or travel to remote corners in search of extraordinary stories. I recently quit my 7-year job as a Software Engineer to do all of this full time! 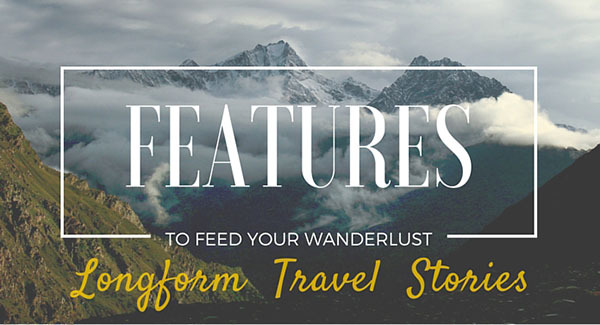 Words and Images in BBC, NatGeo Traveller, Travel+Leisure, Mint, Indian Express and more. Stories & Photographs published on various publications. Food for Thought - Travel and Conscience! Spellbound in Spiti - A Photo Essay. Chadar Trek - How to prepare to walk on a frozen river in subzero temperatures? Ladakh Calling? Here's what you need to Know! The Wandering Soul's Wander Tales..